Think like a journalist when writing accessible website content. 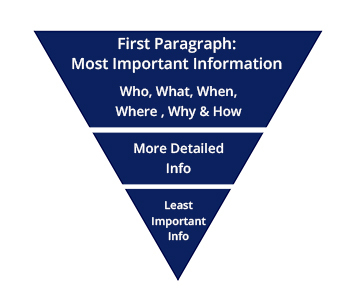 Use the “inverted pyramid style” by including the who, what, when, where, why and how information in the first paragraph of the page. Why is this style important for accessibility? Sighted users can visually scan or skip over content they don’t consider important. Individuals using screen readers must listen to the content of the page, one paragraph at a time. Presenting the most important facts first allows for quicker info access for those using assistive technology. 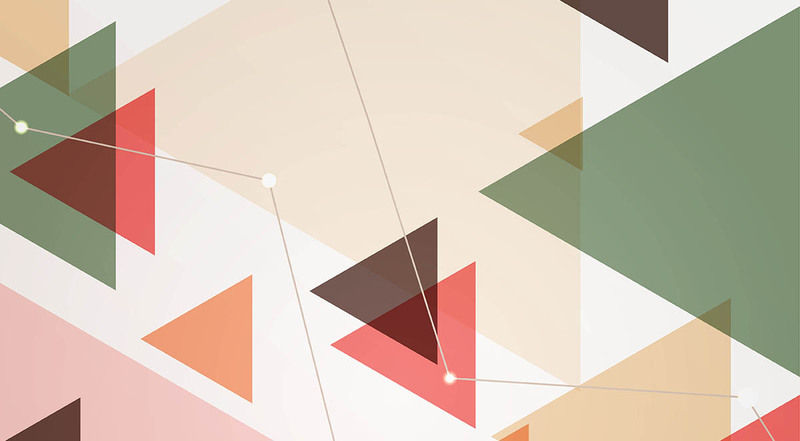 Journalists use the “inverted pyramid style” when composing news stories. The reader has immediate access to the most important facts, in case there isn’t enough time to finish the entire article. The supporting information is then included in the subsequent paragraphs. “1. Identify your key points. What piece of information is the key fact you want your readers to know, even if they only read a single paragraph or sentence on the page? What effectively summarizes all the information that will follow? 2. Rank secondary information. Outline the story details and supporting information, prioritizing the information that is most likely to be of interest to the broadest audience, and moving down the list to the smaller and more nuanced details. 3. Write well and concisely. The structure only helps readers if the content is strong. Cut unnecessary information. Get to the point quickly. Use straightforward language. Use short paragraphs and bulleted lists. 4. Frontload all elements of content with important information. The main headline should be descriptive. The story should start with the main point. Each heading or subheading should be descriptive. The first sentence of every paragraph should be the most important. The first words in each sentence should be information-carrying and indicate what content will follow.